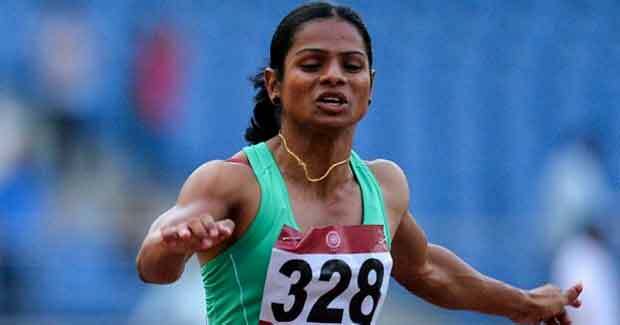 Dutee Chand of Odisha has become the latest Indian athlete to qualify for the Rio Olympics 2016 in women’s 100m category on Saturday. PT Usha had represented India in 1980 in the same category. In a scintillating run in the women’s 100m heats of the 26th G. Kosanov memorial meet in Almaty, Dutee clocked 11.30 seconds, thereby creating a new national record and qualifying for the Rio Games. The qualifying mark for Rio was set at 11.32 seconds. In 2014, Dutee was pulled out from the Commonwealth Games squad and was suspended due to having a higher level of testosterone than was permissible in a woman athlete, according to the IAAF hyperandrogenism laws. She was brave enough to fight this ban and in 2015, in a historical verdict, the Court of Arbitration for Sports (CAS) ruled in her favour thereby allowing her to compete again. Despite this turmoil and the fact that she lost an entire year of training, that she has gone on to qualify for the Olympics speaks volumes of her fighting spirit and character. Dutee Chand, after her qualification, vowed to perform even better and not let anyone down in the Olympics.